Default bet: From 10c, per line, up to the max. of lines. 3 or more Spellbook symbols on any active pay line triggers the Ultimate Spellbook Free Spins feature! 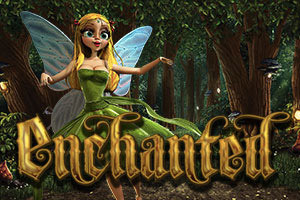 Get the unique Enchanted symbol in position 3 of the third reel during Free Spins to win additional bonuses! 3 or more Crazy Hat symbols on any active pay line triggers the Crazy Hat’s crazy tornado! Watch as the reels go crazy and The Crazy Hat will cause a random reel to respin and then award any wins if you are lucky! The Crazy Hat symbol itself is treated as wild and unlocks 3 free reels respins and awards all wins instantly. If a Key symbol appears in any position on Reel 3, Tonk the Elf will appear to collect it for the player. Once the player has collected all 3 of Tonk’s keys, the Tonk’s Tinkering Doors feature will begin! The reels will suddenly break down, and it's up to Tonk to fix them. Click on each broken reel until the collect symbol appears. Each broken reel will award instant coins! 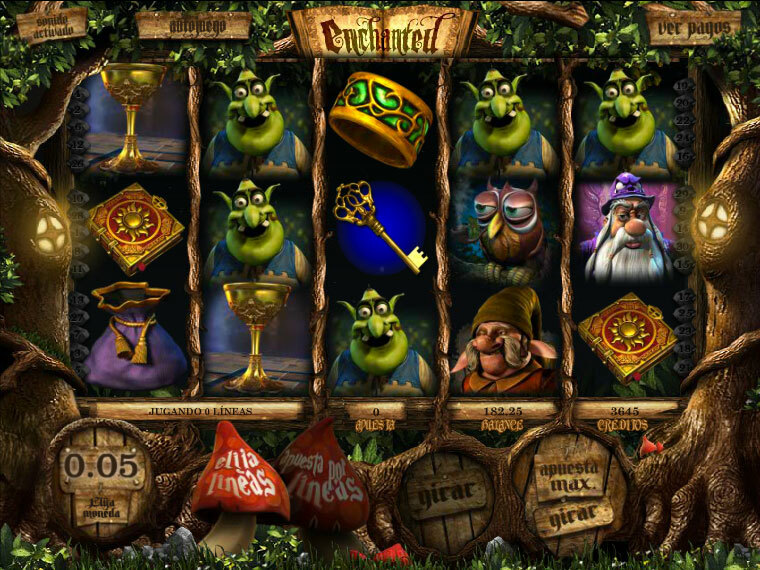 Receive Rufus the Ogre's symbol and Feera the Fairy's symbol side by side on any active pay line to trigger the second screen bonus round. Rufus, the mean Ogre, has taken Feera’s birdie into the forest! Help her rescue her birdie and restore order to all that is good!